Show your love for Deadpool with this Deadpool Suit Dome Handbag! Inspired by his red and black suit, this handbag offers enough space to hold your chimichangas and your makeup! Don't forget to complete the set with the matching wallet (sold separately). 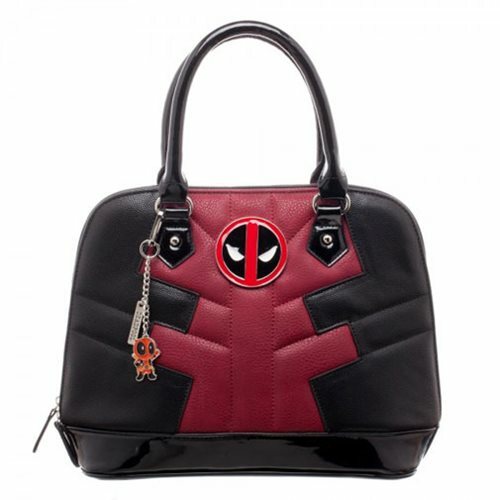 Designed with Deadpool's logo and charm, this handbag is the perfect accessory to any Deadpool fan! Measures about 9 3/4-inches long x 12-inches tall.